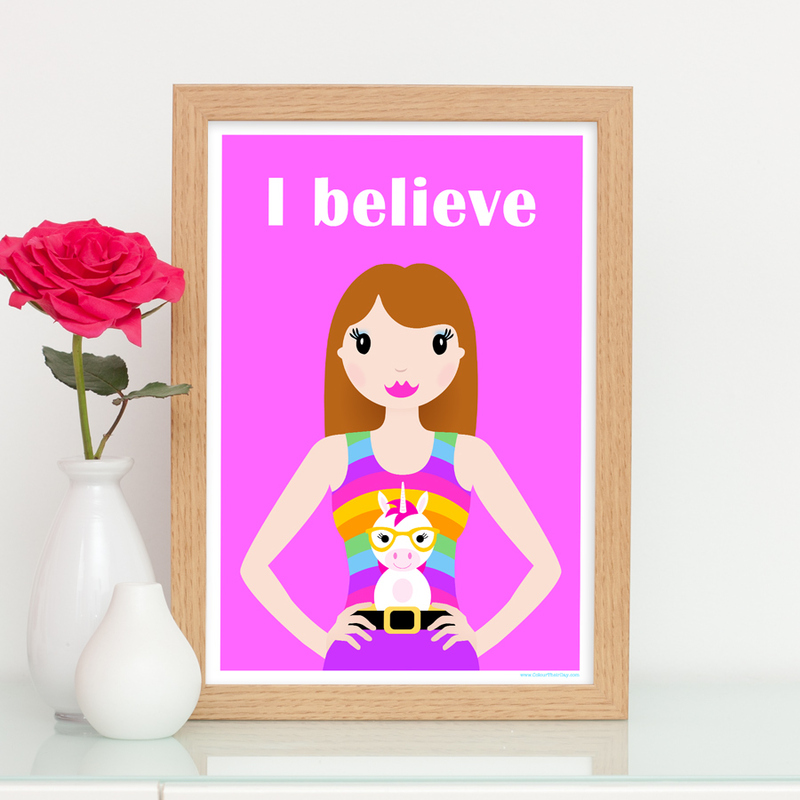 I have been very busy recently designing lots of new ranges and also products for different events, such as the school end of term. 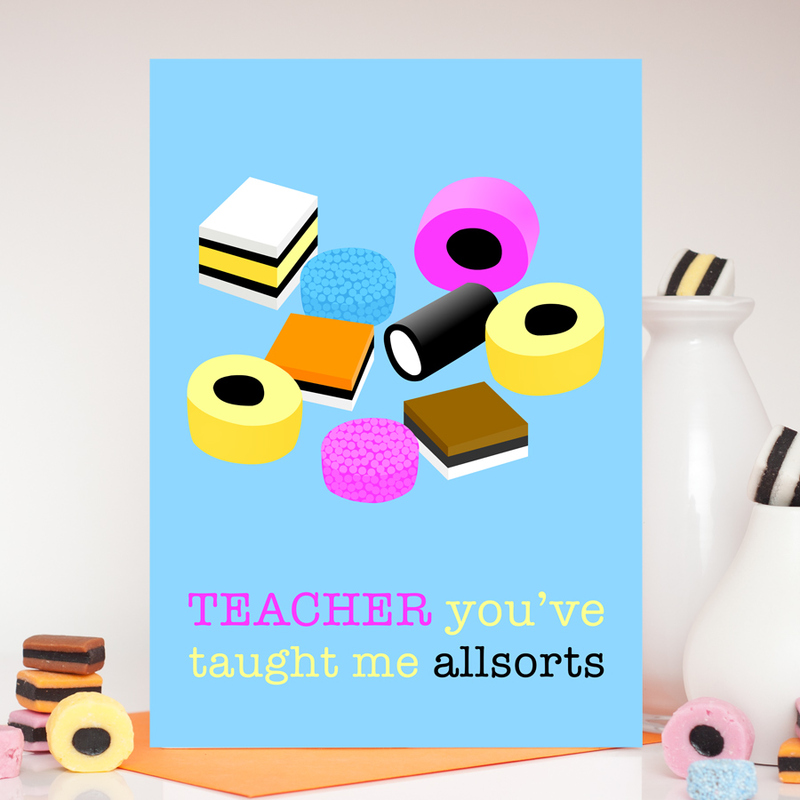 I have created some gorgeous teacher thank you cards and prints featuring delicious liquorice allsorts sweets, the larger versions of these (A5 cards, A4 and A3 prints) can also be personalised with the teacher’s name. 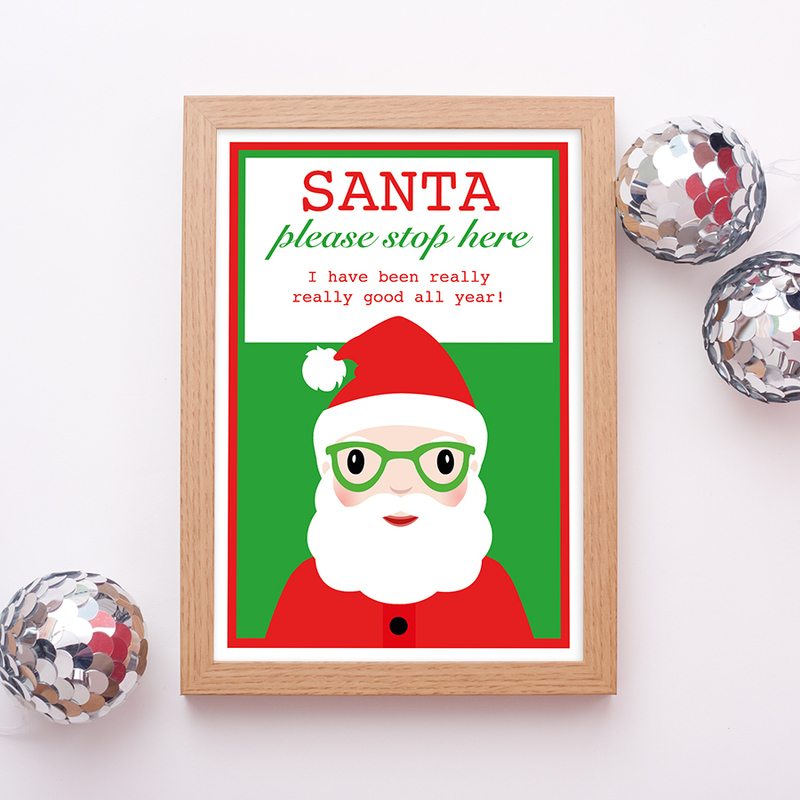 These cards and prints, from the #StationeryAddict range, are available for both teachers and teaching assistants. 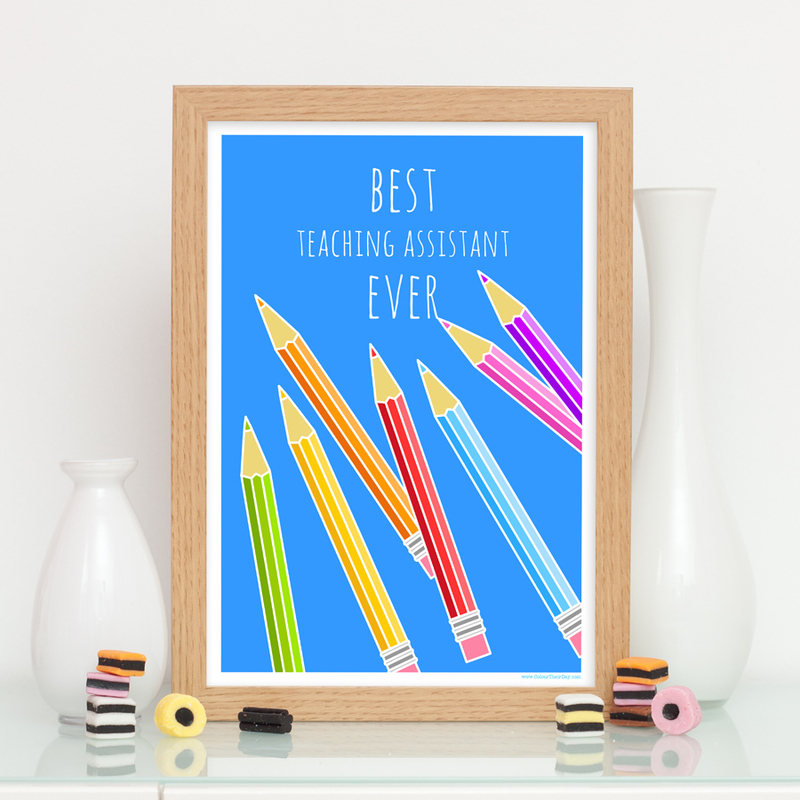 Teachers work amazingly hard…..but so do teaching assistants! 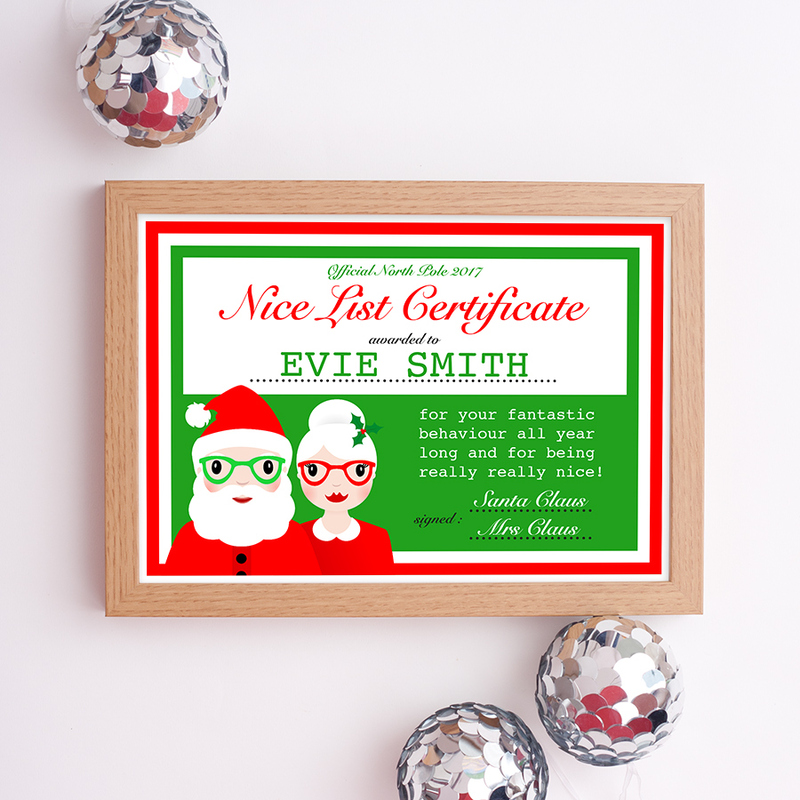 So don’t forget to get them a fantastic thank you gift too. 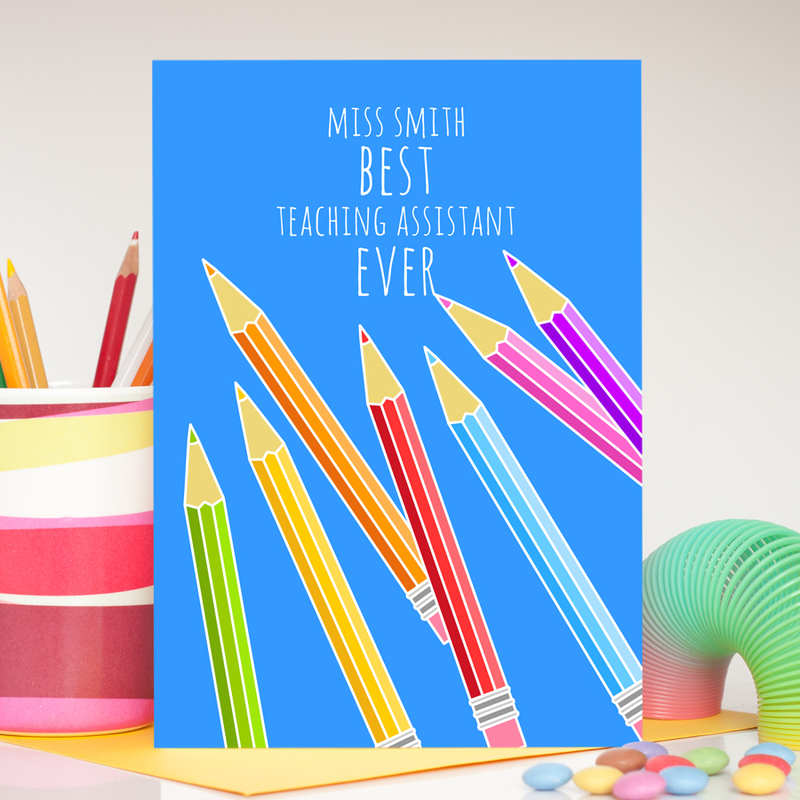 Again the larger versions of these cards and prints can be personalised by adding the teacher’s or teaching assistant’s name along the top of the design. 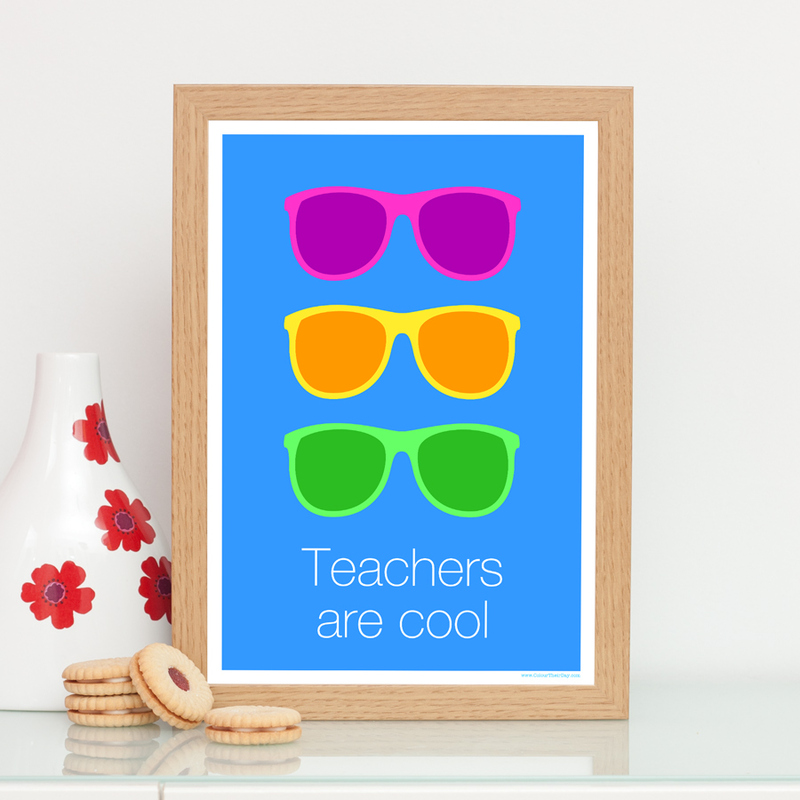 This sunglasses design is brilliant for all cool teachers, particularly if your child thinks their teacher is really really cool! Find these vibrant sunglasses on both cards and prints. 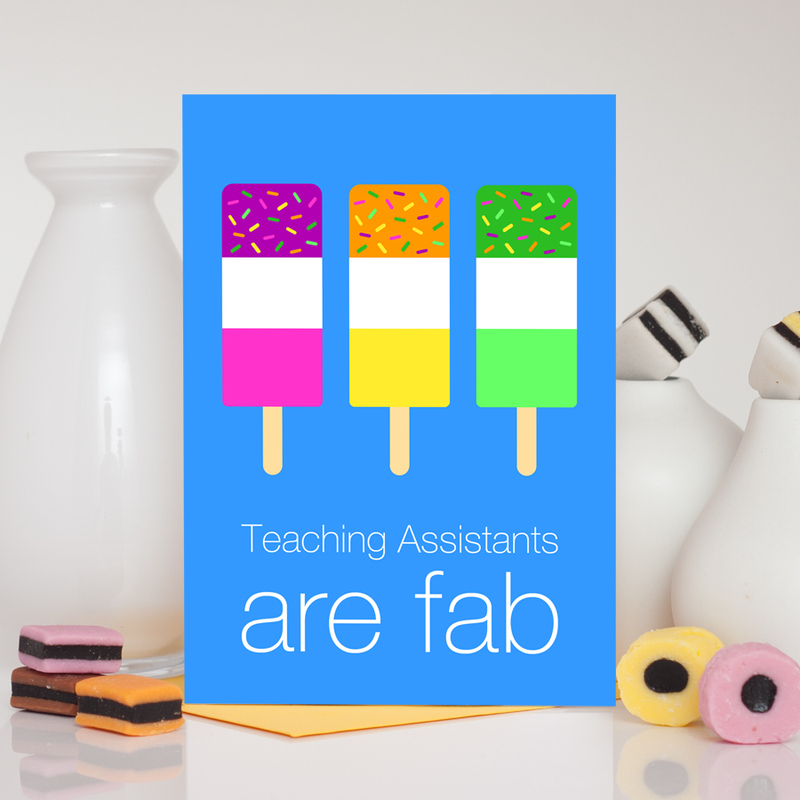 This fab ice lolly design is available for both teachers and teaching assistants. Again you can find these colourful lollies on cards and prints. 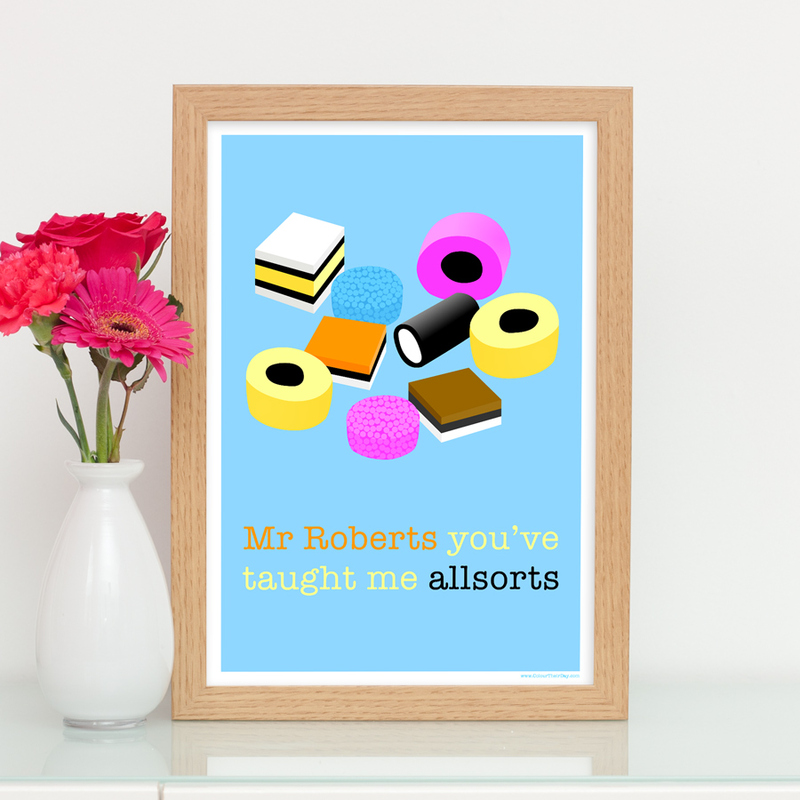 Which design would best suit your child’s teacher and classroom teaching assistant? My kids chose the ‘Best Teacher Ever’ fun pencil design. 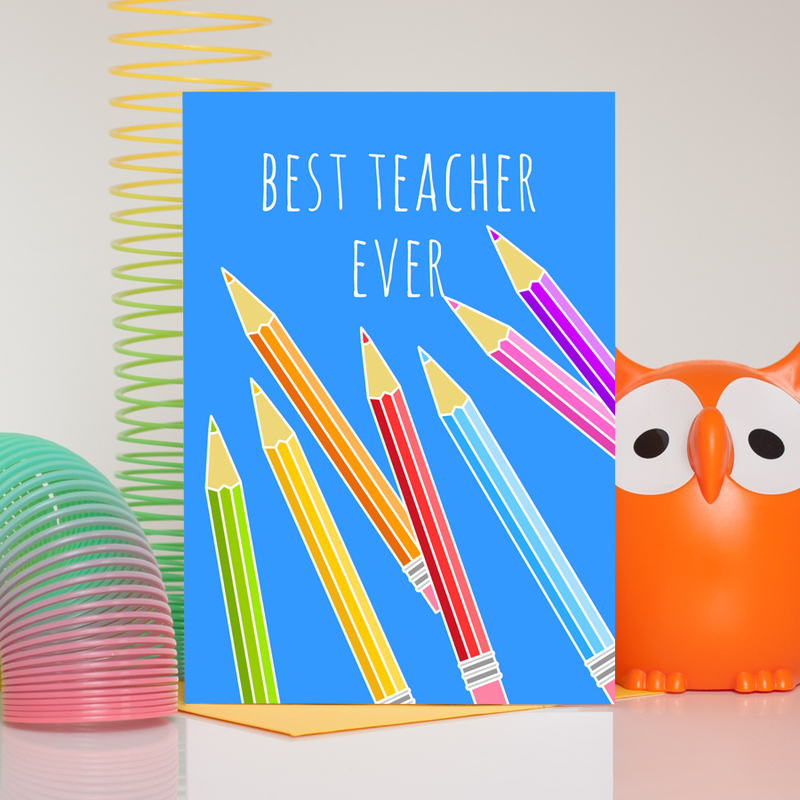 Take a look at the full range of teacher cards here and teacher gifts here! Let me know what you think!